Still no snow outside, which I am very grateful for! It’s actually been a beautiful week, with many afternoons spent outside. I’ll take 54 degrees in January over snow any day! Since it’s not snowing outside, we made some snowflakes for inside the house. 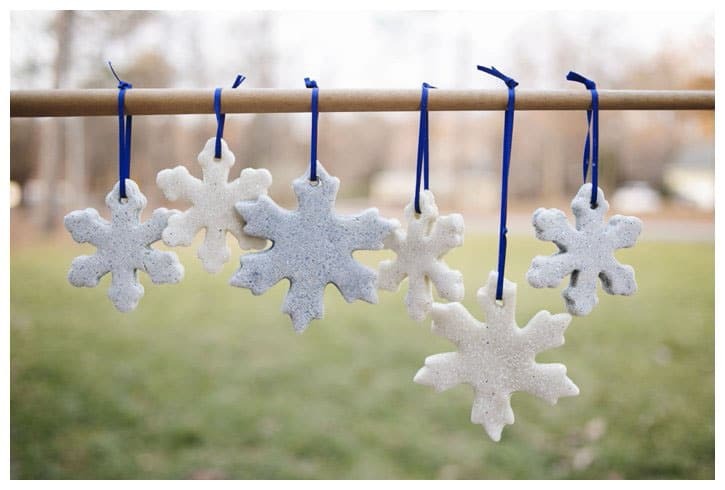 I shared the tutorial for Glitter Salt Dough Snowflakes over at Musings From a Stay at Home Mom. Pop on over to check them out and get the recipe. I generally don’t do glitter and I pretty much never have play dough for my kids, so they thought this craft was a huge treat. I have to say I was pleasantly surprised! 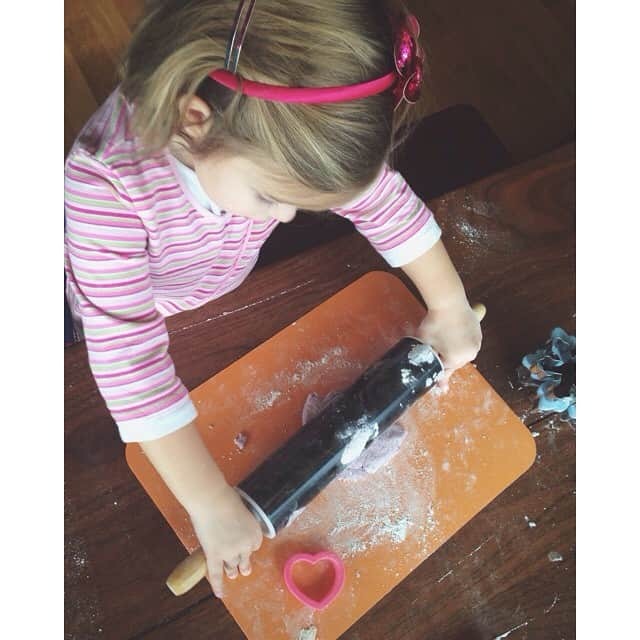 It was nothing like play dough. First, there was no awful play dough smell. 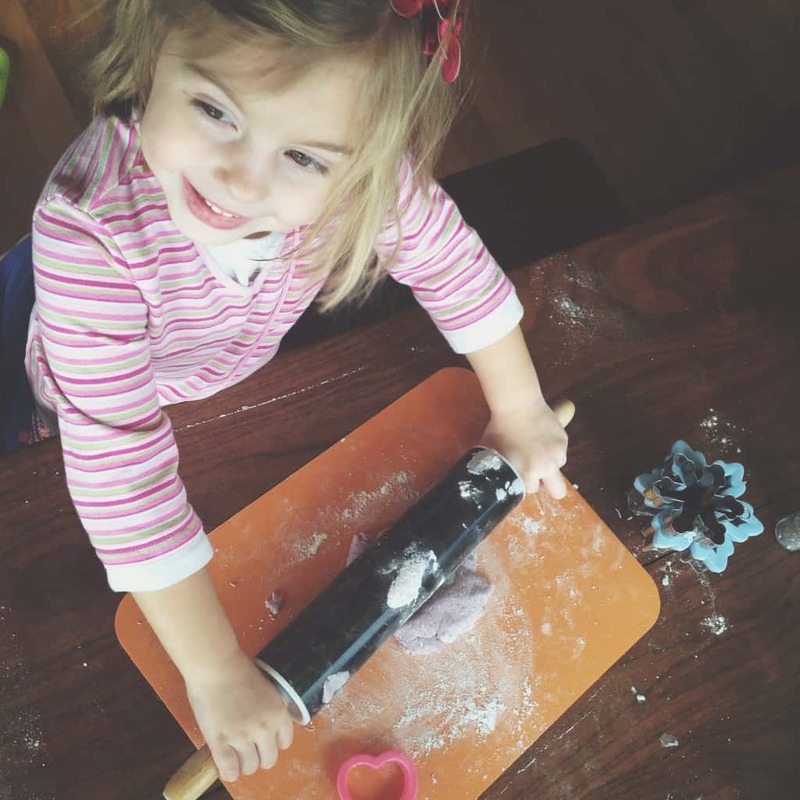 Second, the texture of the dough was so much better than play dough, it neither crumbled everywhere, nor stuck to everything. Clean up wasn’t bad at all. Since the glitter was trapped nicely into the dough, I also didn’t have to deal with glitter falling off the craft all over the house. Seriously, this was a wonderful craft! Make it today! Previous Post: « Let Him Sleep…Its the Only Time He’s Still! What a fun craft to make with the kiddos! Especially for those of us who have yet to see snow this winter. ;) Pinning this for when my baby gets to be a bit older and we can do this together!